Apple on Tuesday issued a trio of new beta software releases to developers for testing: iOS 9.1 beta 4, tvOS beta 3, and Xcode 7.1 beta 3. The fourth beta of iOS 9.1 can be downloaded as an over the air update through the iOS Settings application, or it can be accessed from Apple's developer website. As with all pre-release updates, Apple has warned that it should only be deployed in devices dedicated for beta software development. A handful of developers now have their hands on the new Apple TV and its new tvOS platform. The device is set to make its way into consumers' living rooms, with support for third-party apps, later this month. Tying them all together is a new Xcode 7.1 beta 3 with support for the latest test builds of iOS and tvOS. The latest beta of iOS 9.1 arrives less than a week after the third test build. 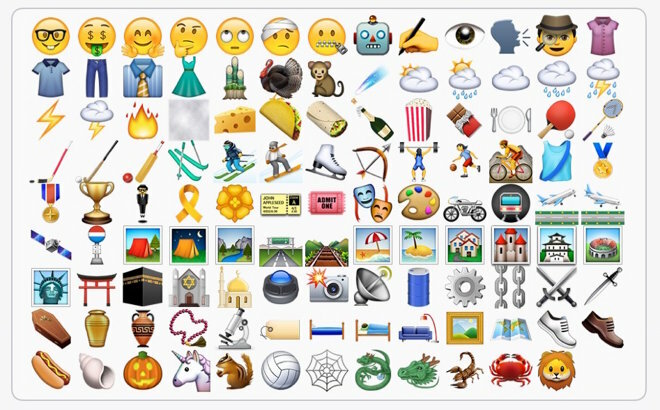 The upcoming software update includes a range of new emoji based on Unicode 8, including a taco, burrito unicorn, middle finger, and a mysterious "eye in speech bubble" character.